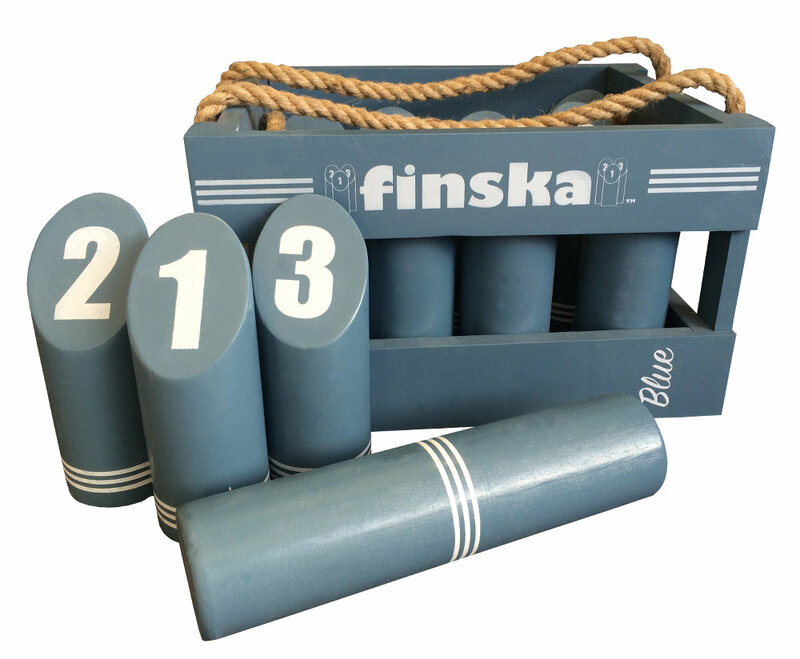 Finska Retro Blue is crafted from eco-friendly birch, a hardwood known for its shock resistant qualities. 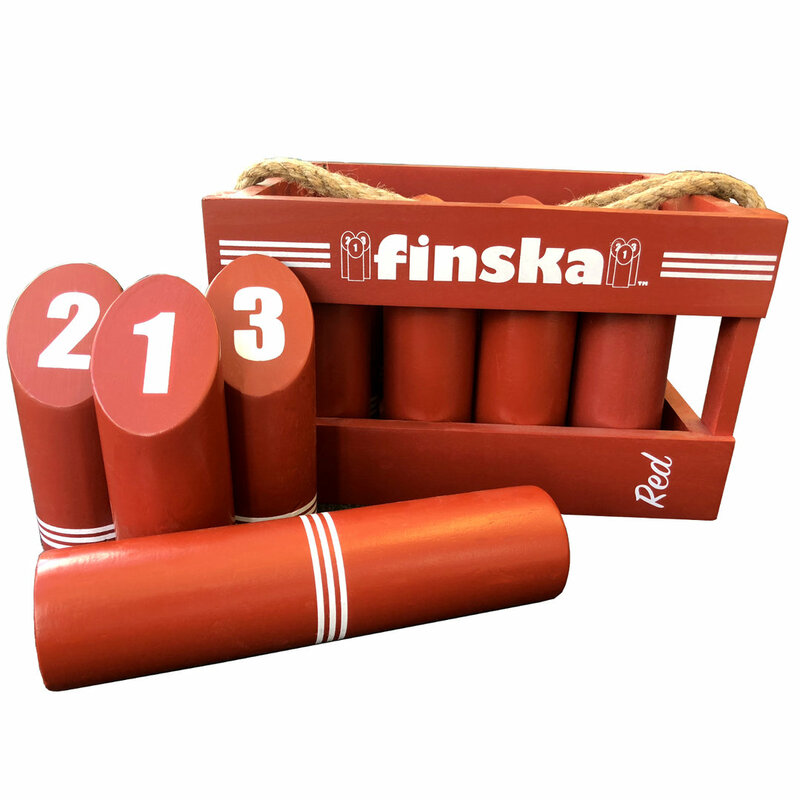 Finska Retro sets are our 2016 versions with a vibrant and snappy painted finish. 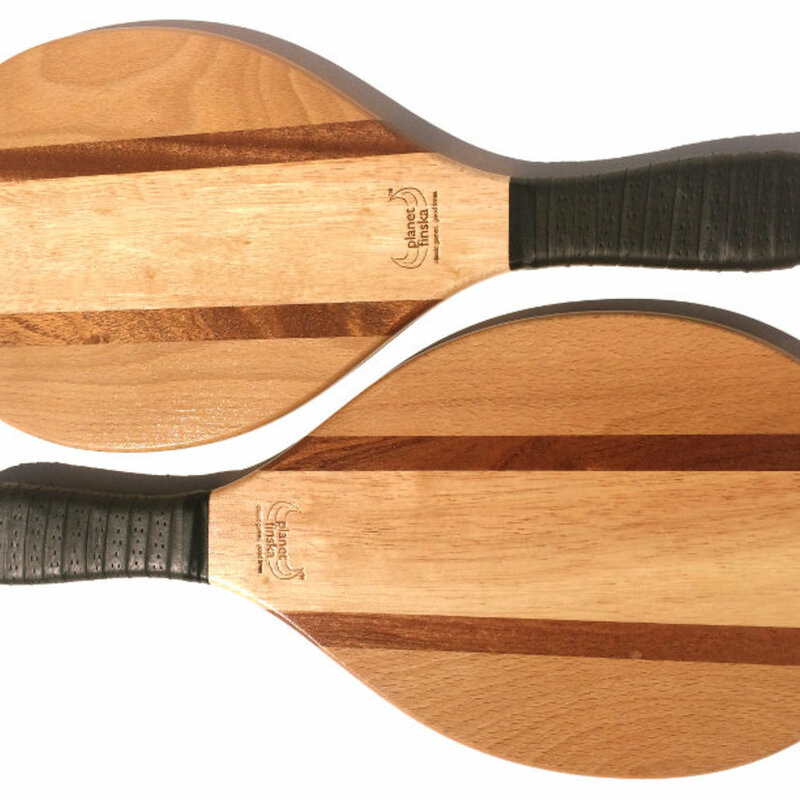 The paint also helps to protect the timber from marking and drying out. 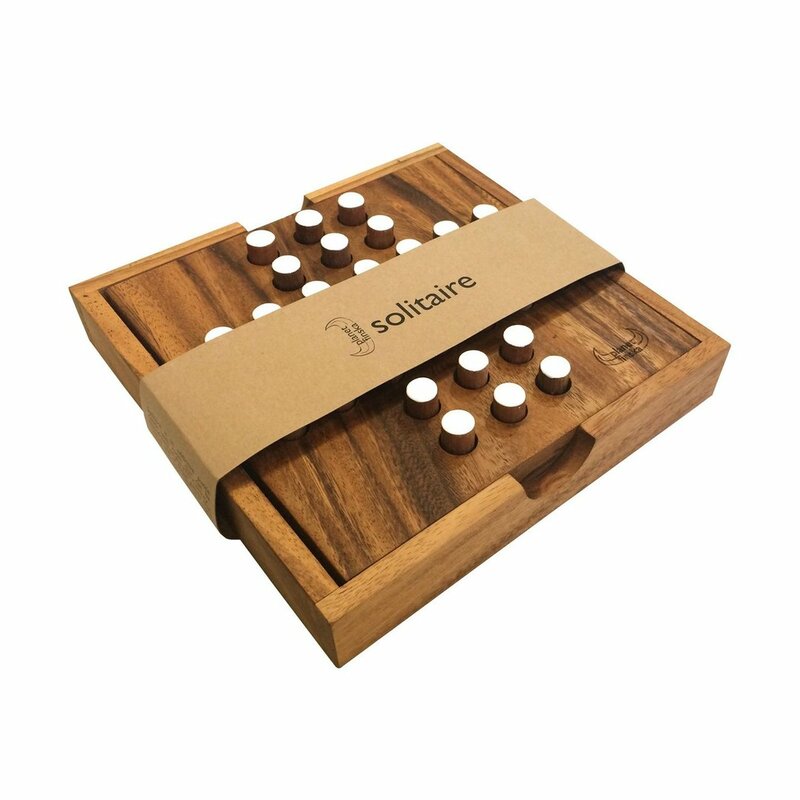 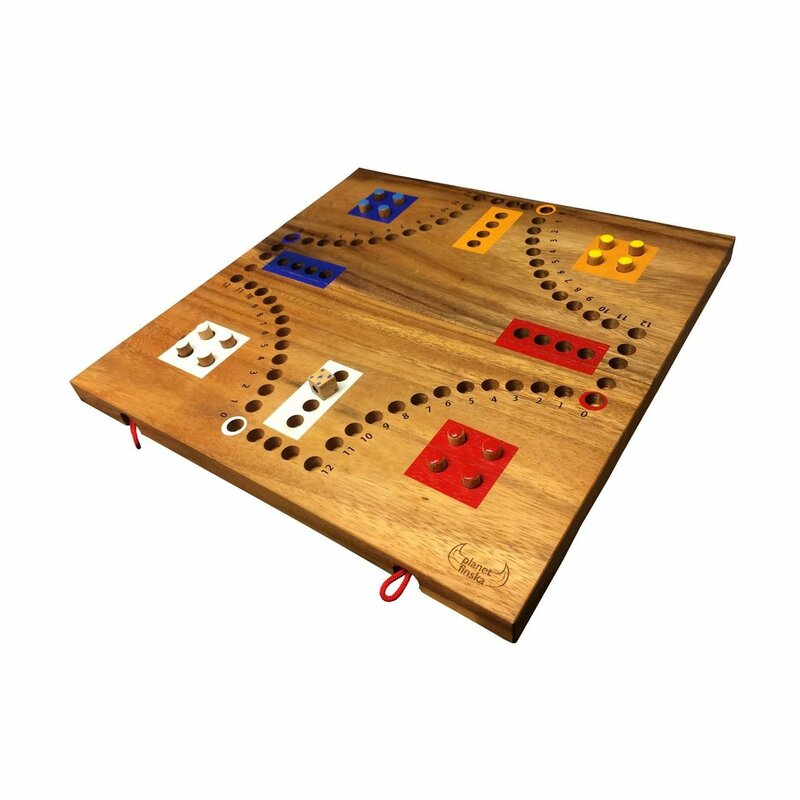 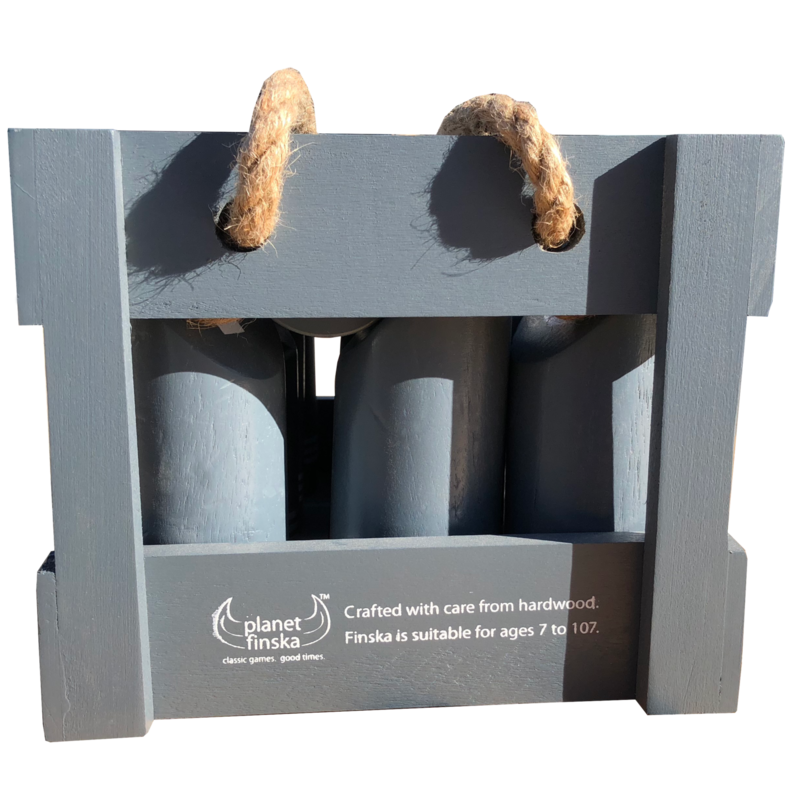 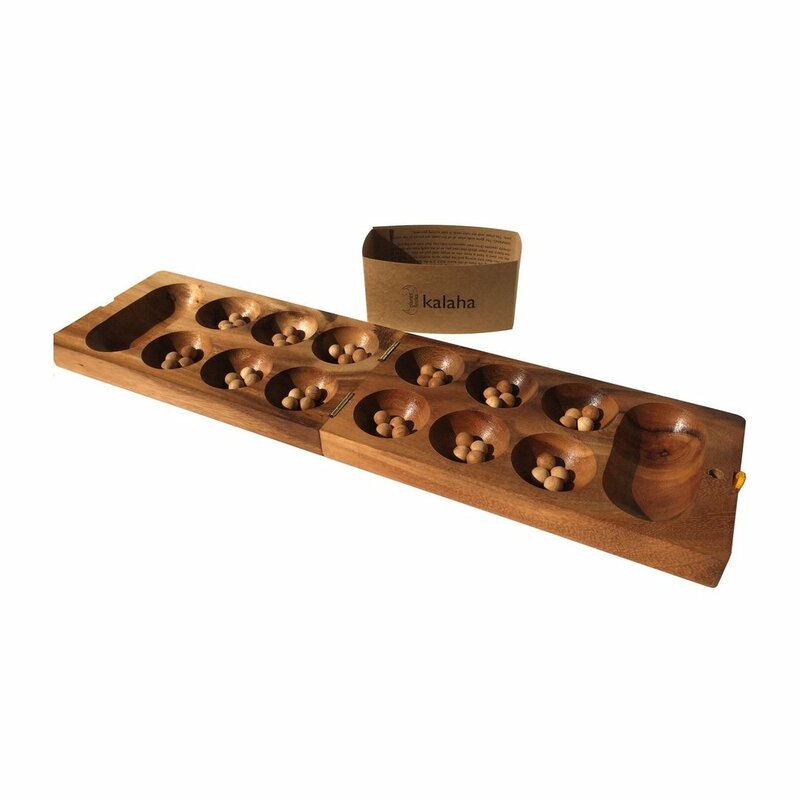 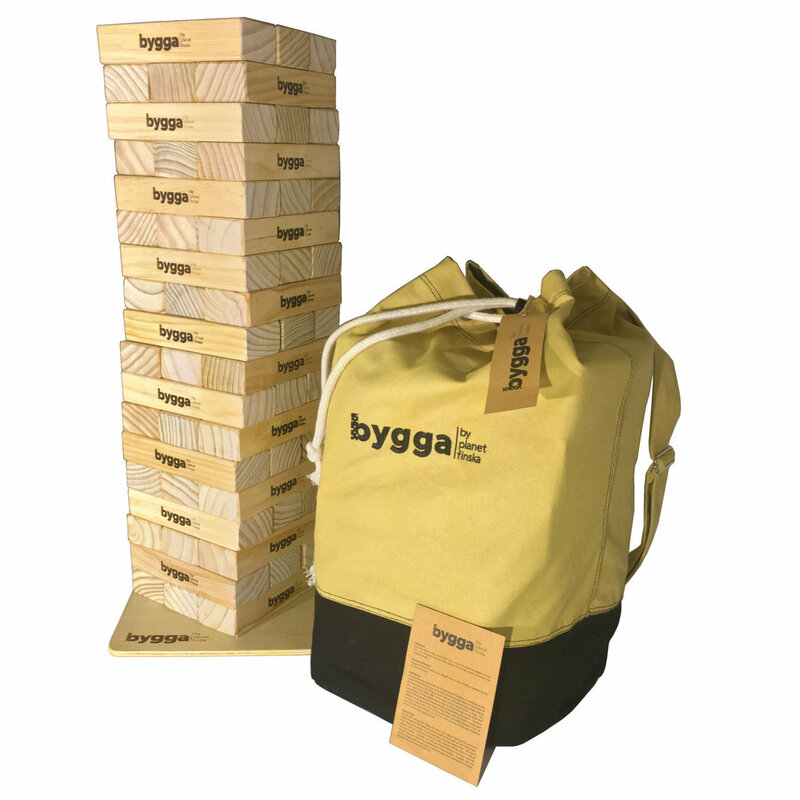 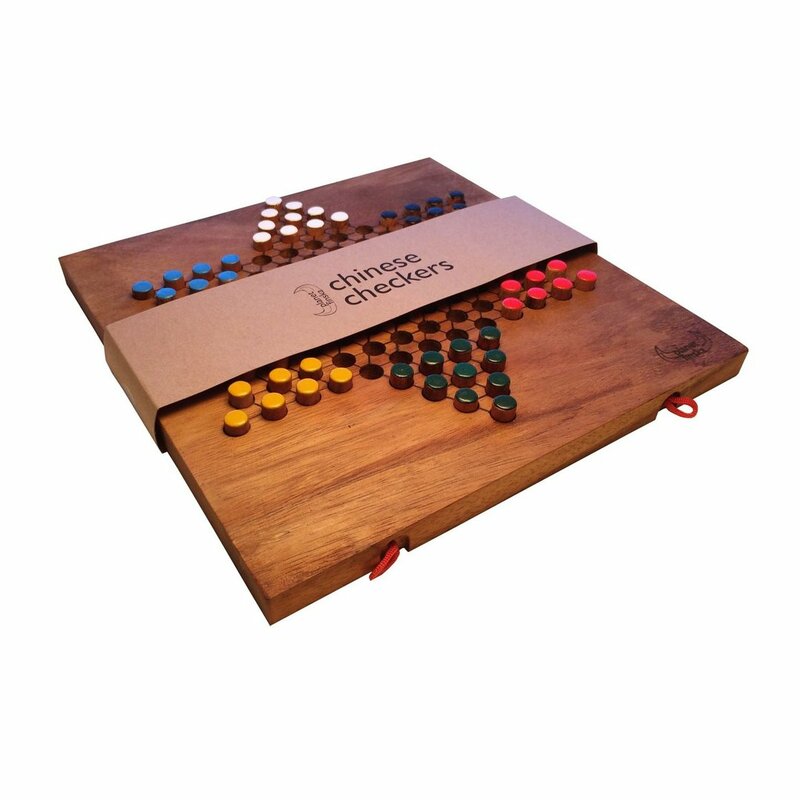 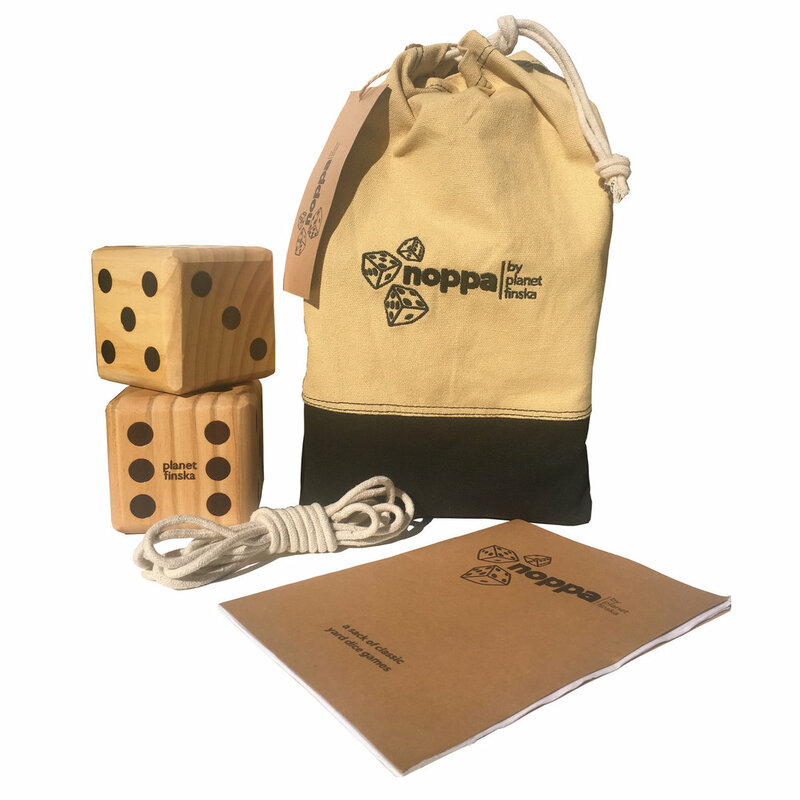 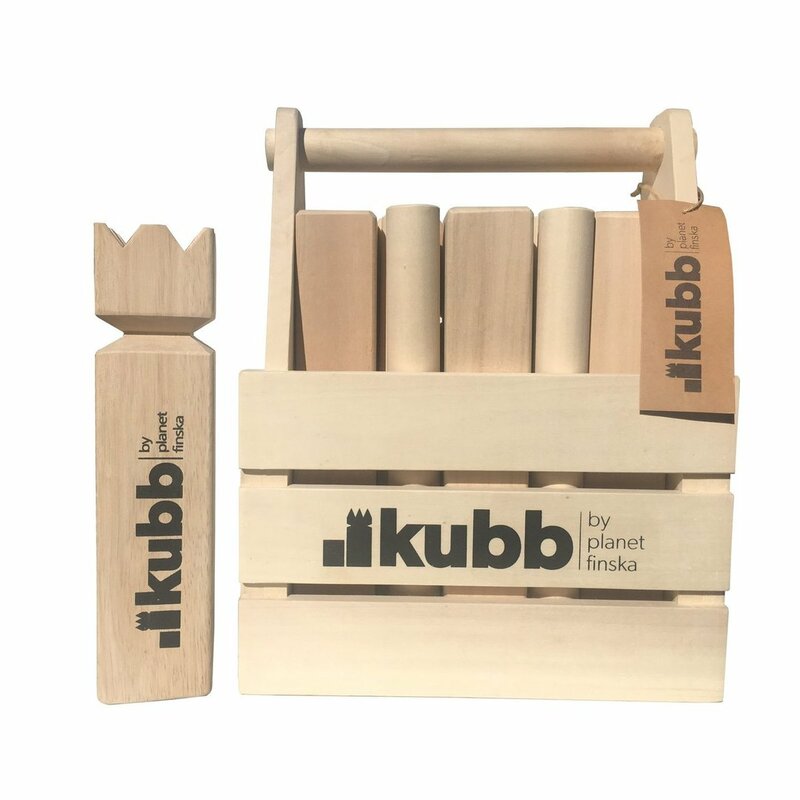 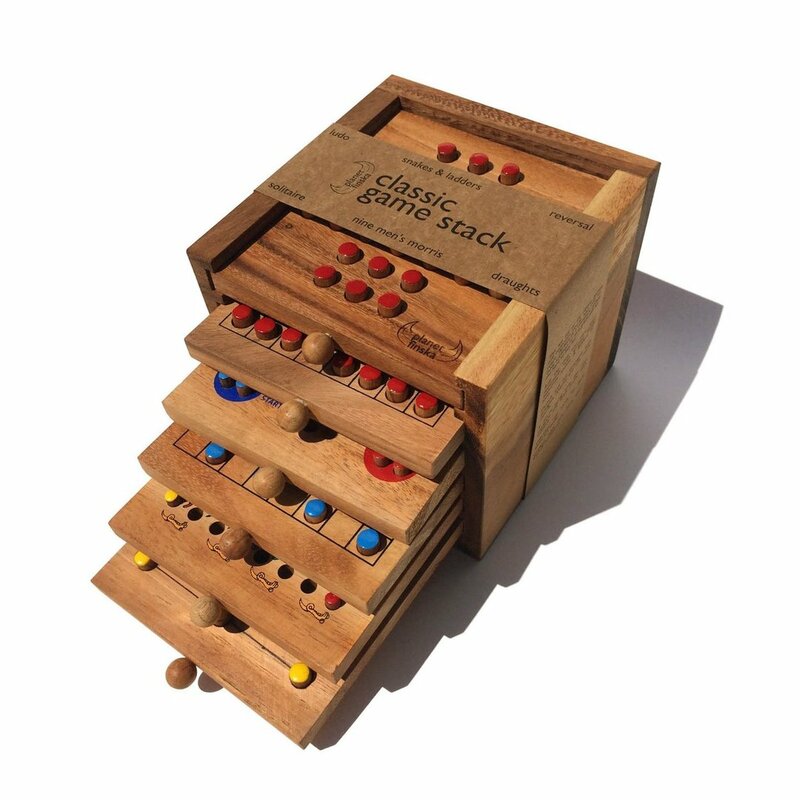 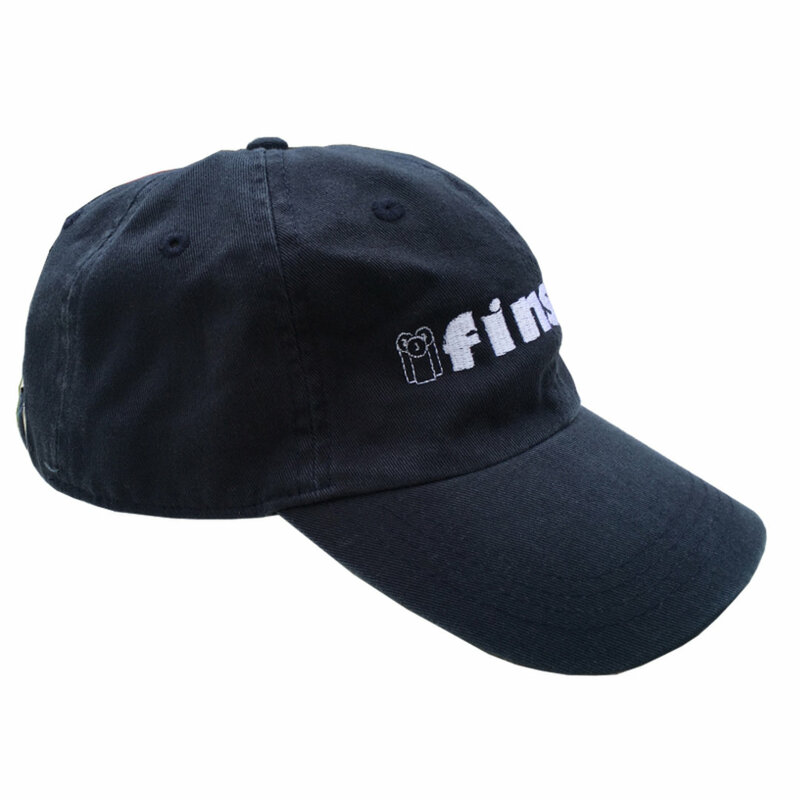 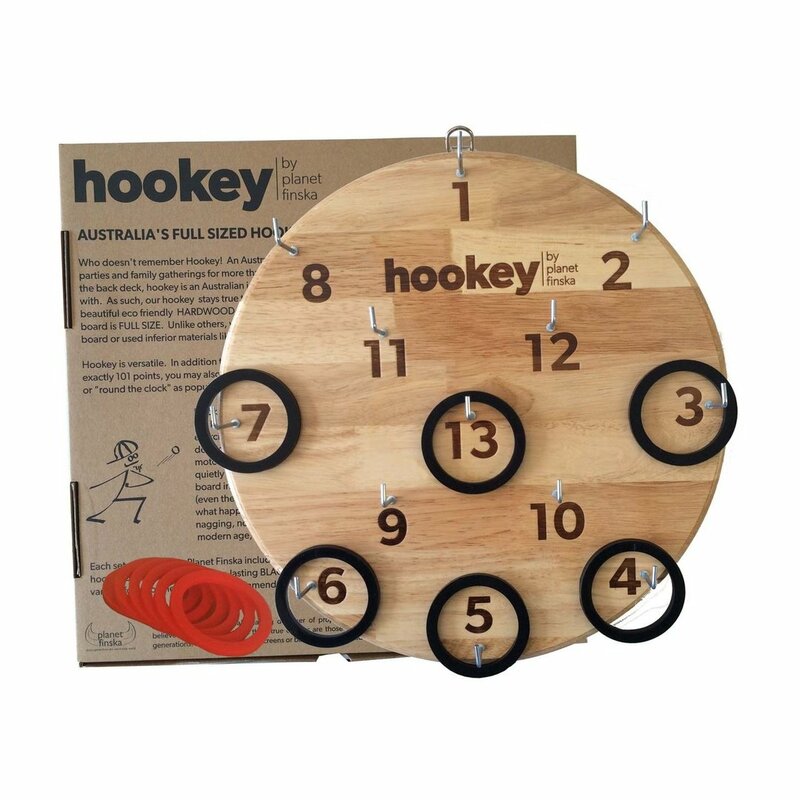 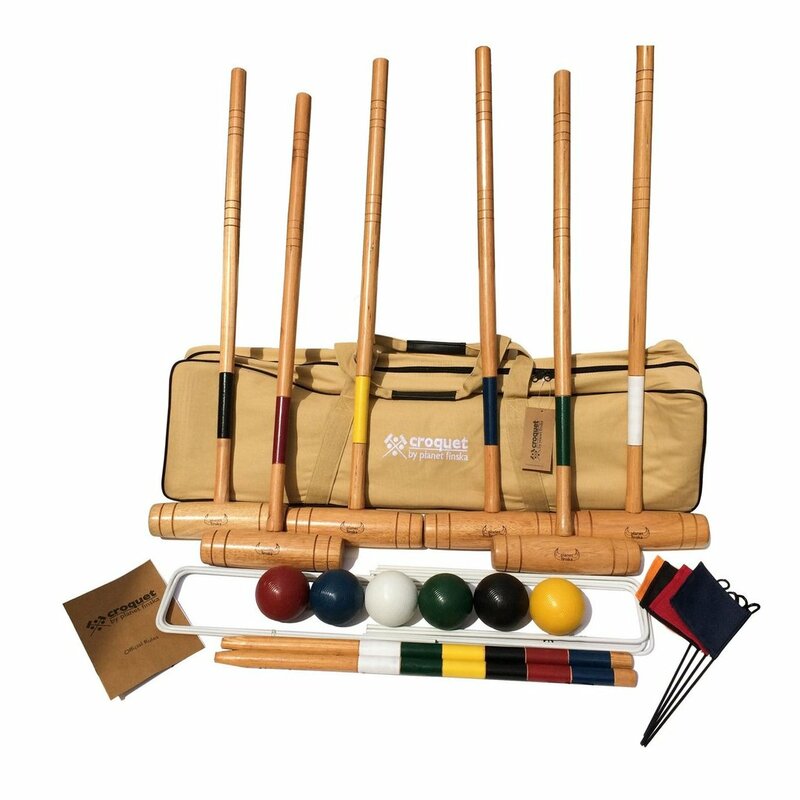 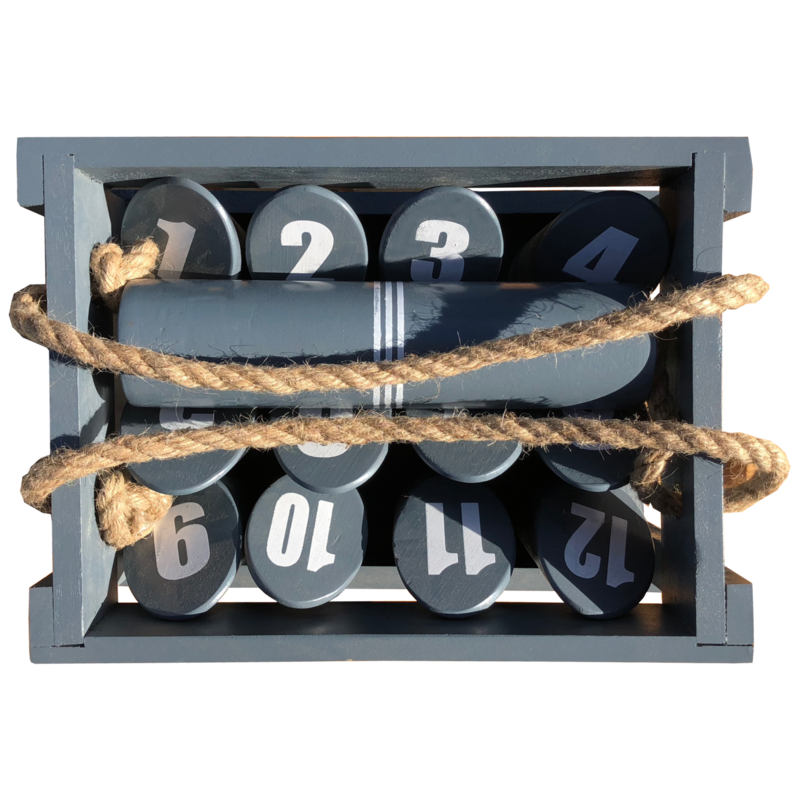 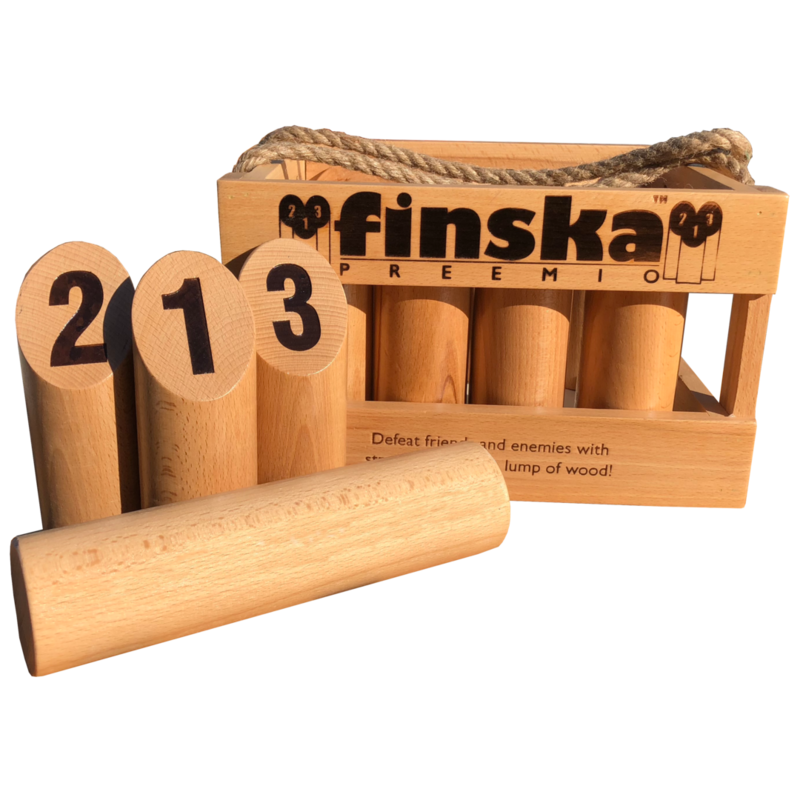 Each Finska Retro set comes packaged in a handy painted hardwood carry crate and includes 12 numbered pins, Finska throwing pin ("the Finska") and easy to understand rules and official finska score card. 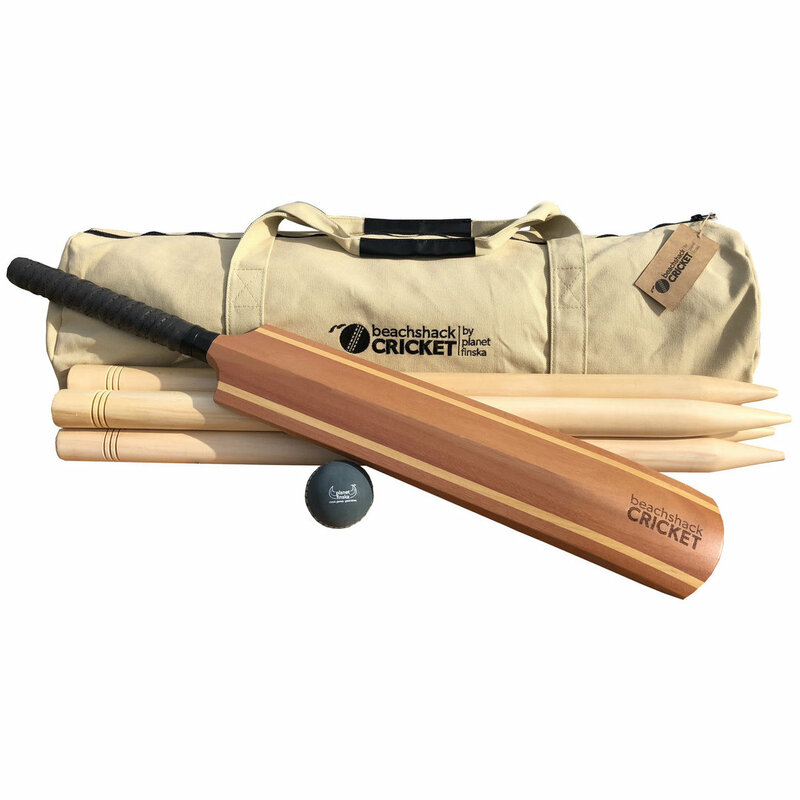 The laminated scorecard protects against the elements and can be re-used after a quick wipe clean. 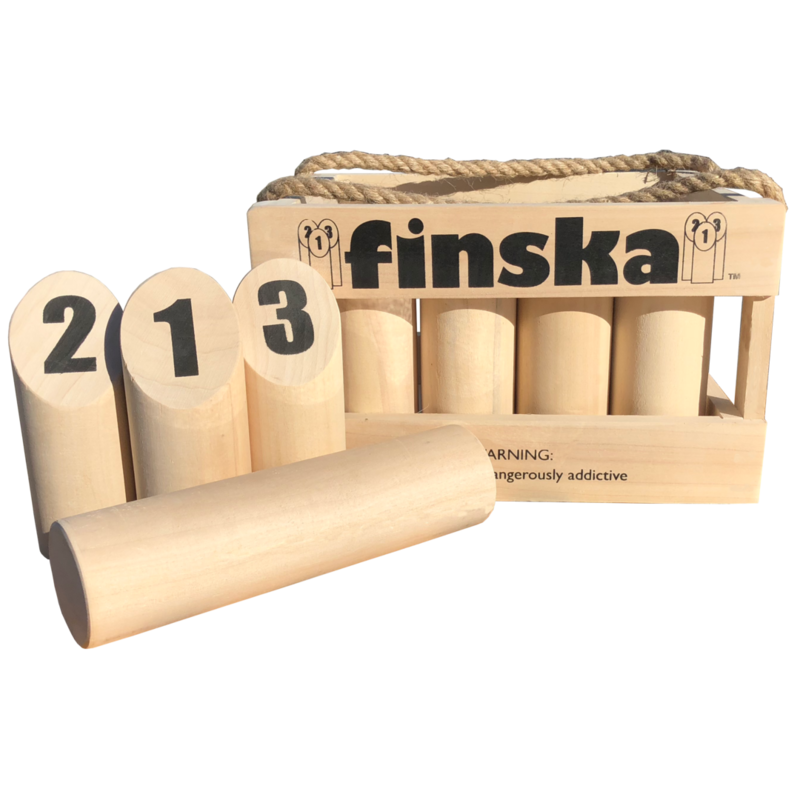 Finska Retro is suitable for ages 7 to 107. 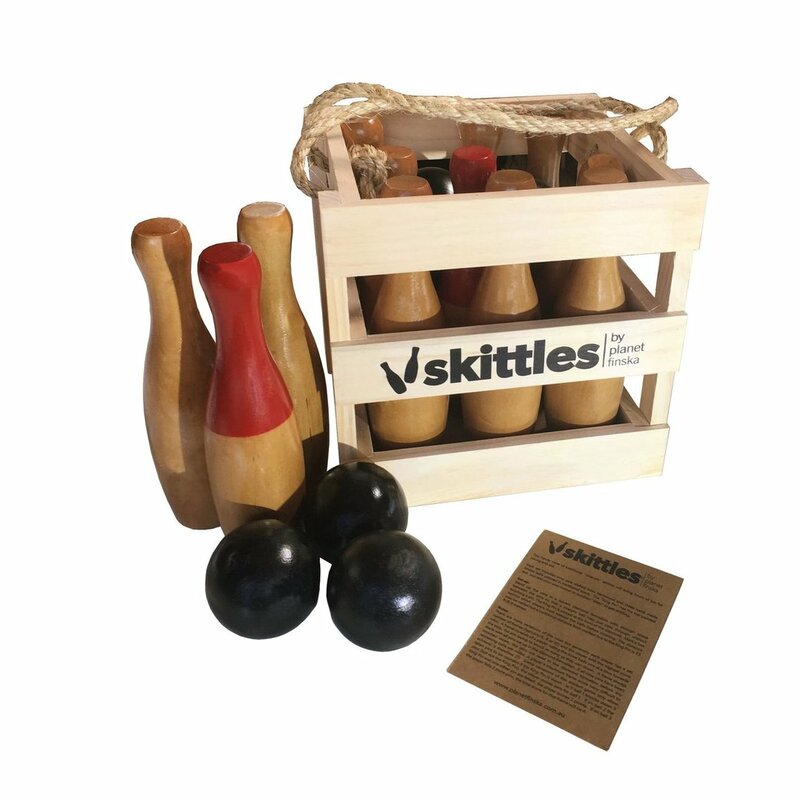 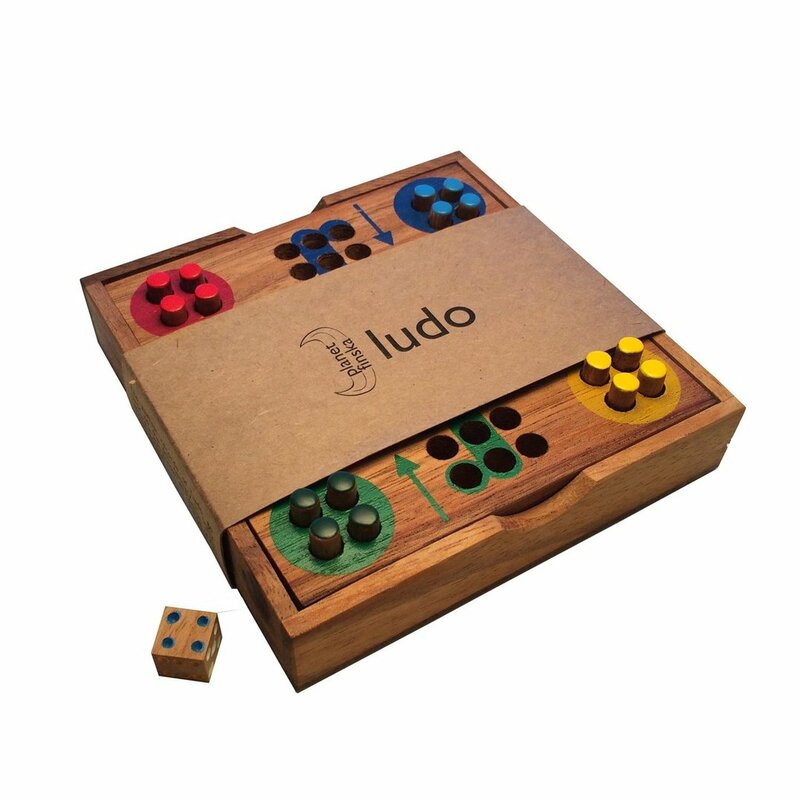 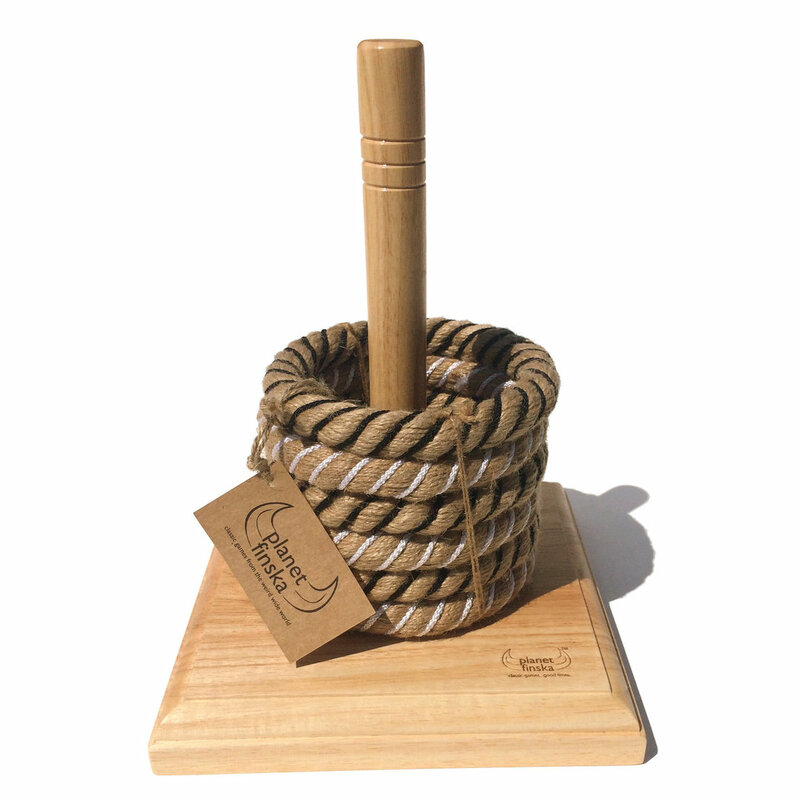 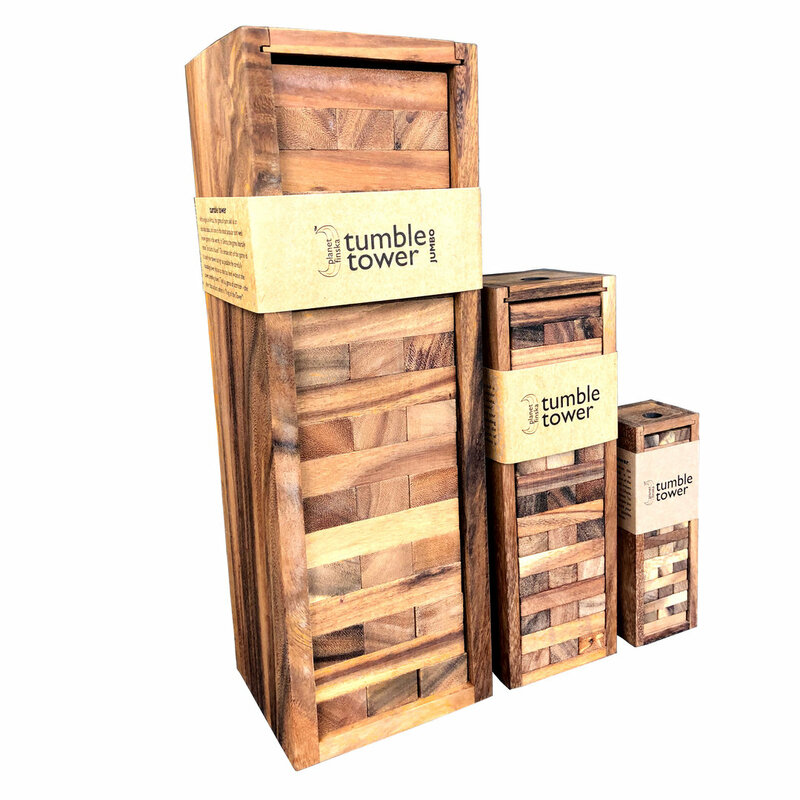 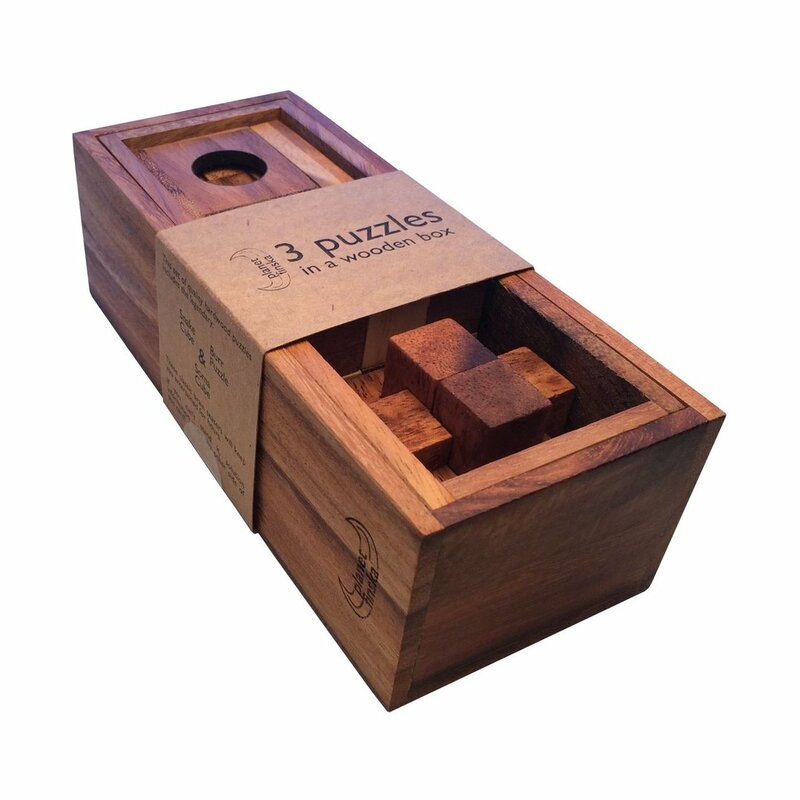 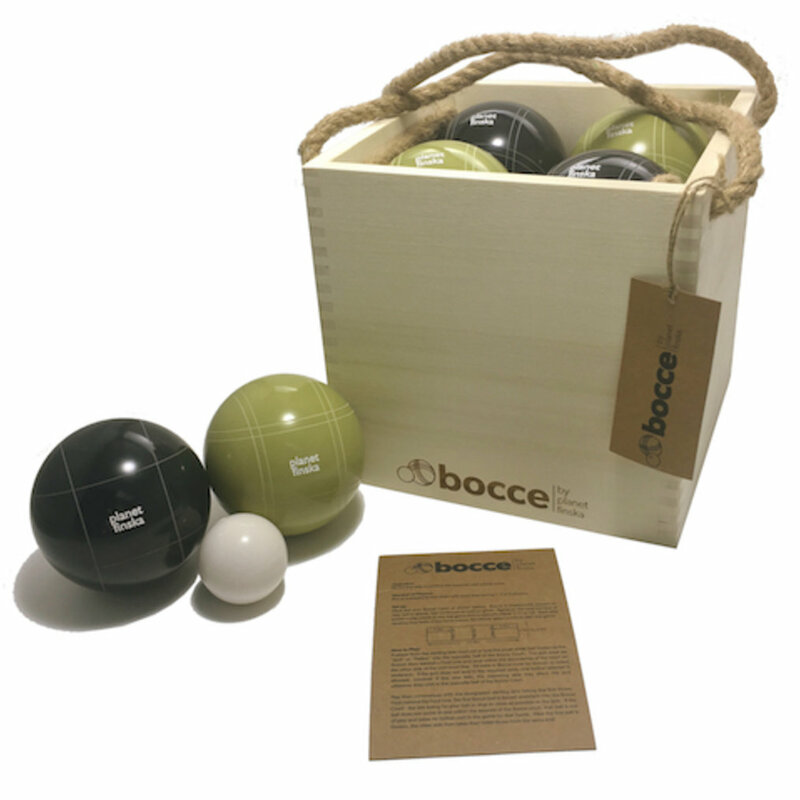 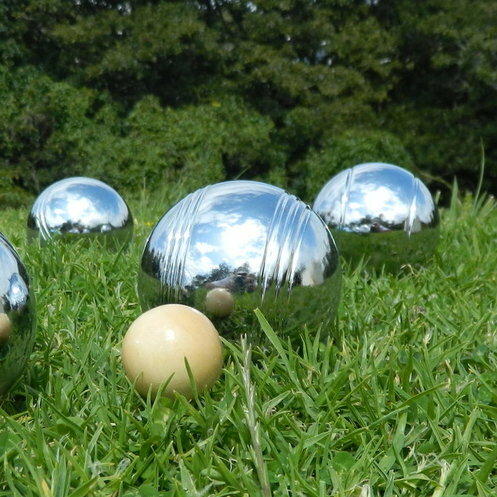 Dimensions: set weight (3.2 - 3.6kg); crate (30x22x18cm); numbered pins (15x5.5-6.0cm); throwing pin (22x5.5cm). 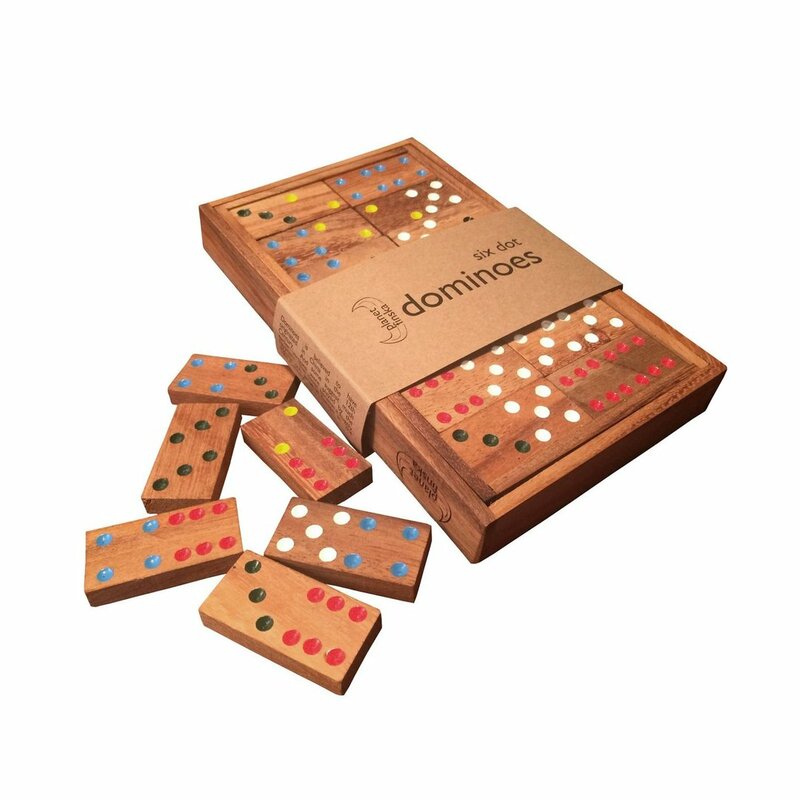 Minor variations in dimensions and colour will occur from set to set.